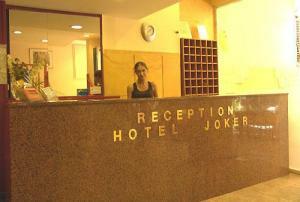 Joker Hotel Located in the heart of Athens, this value-for-money hotel is close to all major tourist attractions making it a great base for touring the city. 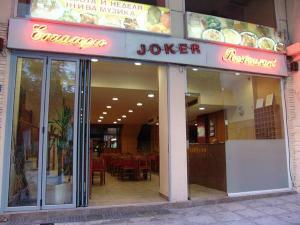 Near the metro at Omonia and Metaxourghio, it is simple to travel to any part of Athens from Joker Hotel. The hotel has a warm and friendly restaurant offering a variety of dishes representative of Greek and Balcanian cuisine. Convenient for shopping, restaurants and nightlife, you will also be a reasonable distance from the Archaeological Museum, Acropolis, Plaka Old Town, Monastiraki and other interesting places. 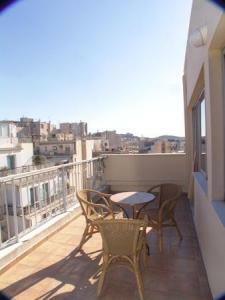 Rooms are spacious and comfortable, and some benefit from a balcony with a view of the Acropolis. The owners of this site have the full intention to be compliant with the Federal Trade Commission rules about the use of testimonials and endorsements in advertising and marketing. Accordingly, we want you as a visitor to understand that in most, if not in all instances, we receive a commission on the sale of products or services generated by this site.